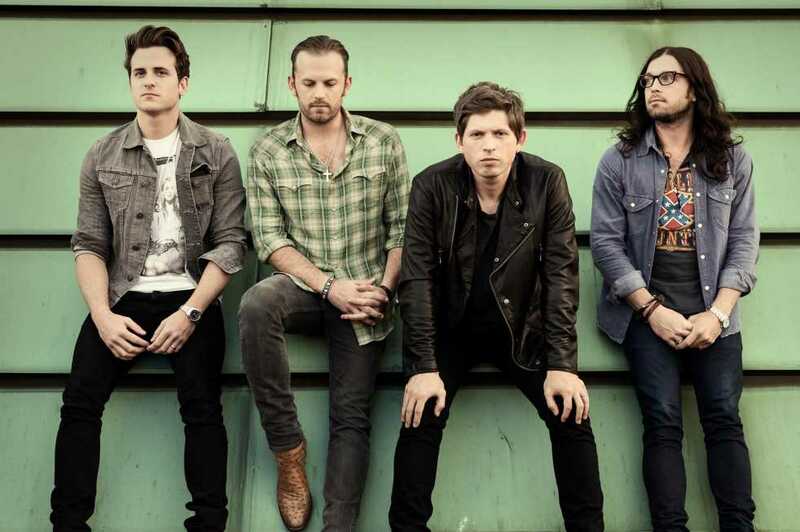 Kings of Leon is a classic American rock band that has put out five albums since its formation in 1999, and each has been met with success; the band’s fourth album, Only by the Night, even held the top of the UK charts for an entire week. In 2010, Kings of Leon pulled in three Grammy Awards: one for Record of the Year, another for Best Rock Song and the last for Best Rock Performance by a Duo or Group with Vocal. However, their more recent history has not been so glamorous. After the cancellation of part of their U.S. tour in late 2011 due to issues concerning some of the band members, the group went on hiatus and has all but disappeared since; only two singles under the band’s name were released in the past two years. Recently, Kings of Leon broke through that period of relative silence with the release of its sixth album, Mechanical Bull, on Sept. 24. True to the roots of the band, this new album is a mixture of rock-and-roll and alternative rock, a style that may not make so much sense on paper but works well in practice. The album opens with “Supersoaker,” which was released as a single in July of this year. The song is loud and upbeat, driven by a solid rock-style drum rhythm and a fantastic bass line that keeps the pace alive and jumping. The guitar is fast, and lead vocalist Caleb Followill’s distinct tone compliments the musical style of the song. The album’s next song, “Rock City,” displays its rock-and-roll direction. The guitar is distorted just enough, and the drums have that simple and straightforward rock kit sound that makes the song solid and grounded. When featured, the lead guitar is engaging and prominent without sounding angry or aggressive as some hard rock songs tend to do. Overall, “Rock City” is a perfect example of how smooth Kings of Leon’s sound can be. The fourth song of the album, “Beautiful War,” is one of the most standout tracks in a collection that stands out from the crowd itself. The track is not driven by insane instrumentation, and you probably will not be caught humming the tune, but it is ear-catching nonetheless. The song is driven by its commitment to balancing the individual parts so as to create one sound that works with the well-known Kings of Leon vocal style. What makes the song ear-catching is how it takes the four members of the band and combines each of their parts into a singular purpose-driven sound. You hear the song, you know exactly what emotions it is trying to get across and you therefore realize exactly what the message of the song is. No spoilers here though. The album’s ninth song, “Tonight,” is also one of the most ear-catching songs of the album. It opens with a guitar riff that would not be out of place in an indie Silversun Pickups album, but does not hold on to the minor-tone feel for long. The lyrics are poignant, and some of the best on the album. The song has well-defined moments of seriousness followed by moments of uplifting instrumentation and vocals that work together to create a unique piece of art. All things considered, Mechanical Bull is a great album, and it does not take much listening to understand why. The instrumentation is fantastic, the lyrics are meaningful if you take the time to understand them and Followill’s style of singing works well with the sound that Kings of Leon creates. With such a harmonic team backing it up, this album definitely deserves a place on anyone’s musical shopping list.